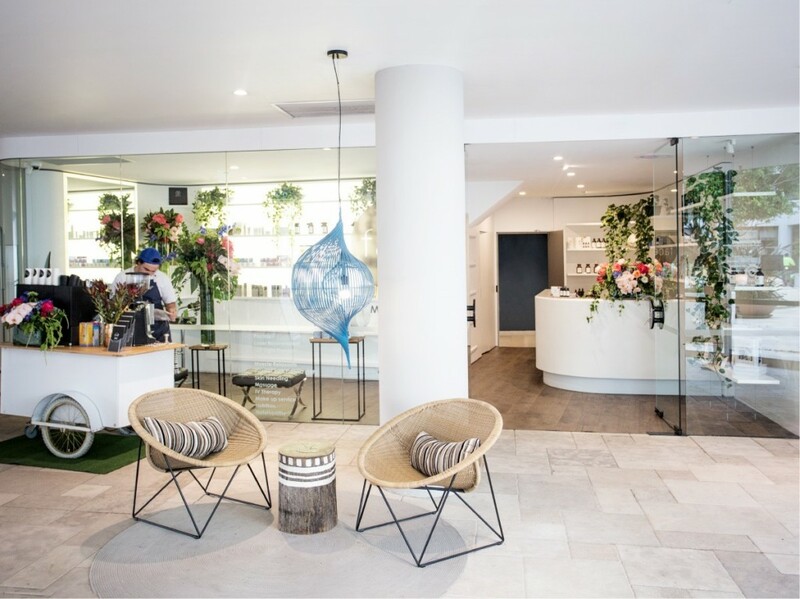 In an age where social media dominates our lives and selfies are no longer taboo, skin maintenance therapies and practises have become increasingly common. Here at All My Friends Are Models we’ve been lucky to have had a long lasting relationship with many models who have graciously let us in on all their skin softening secrets. But it’s always handy to have a professional on board to steer us in the right direction. 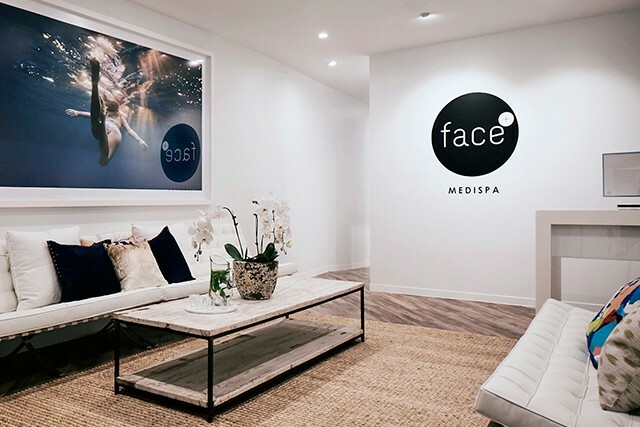 So to answer all our questions once more about how we can achieve god-like skin, we spoke to the incredible Advanced Dermal and Laser Therapist, Natasha Hunt at Face Plus Medi Spa to give us a little further insight. Tell us a little about yourself, what does being an advanced dermal and laser therapist involve? I just moved back to Sydney from The Gold Coast and am living in Bondi and absolutely loving it. I love my job because it’s foundation is in education. I love helping my clients to correct their skin and address their skin concerns by educating them on common misconceptions but also teaching them how the skin works. What made you interested in this line of work? I started my career as a makeup artist many moons ago. Over the years I just became increasingly passionate about skin health. It felt like a really natural progression to become a dermal therapist. I love that my history is in makeup because I understand the need/ want to cover up the skin but I also have the education to support my clients goals to not wanting to rely on it. I mean, a lot of people would think that going to see a specialist is a little bit of a last resort, they’ve been unable to treat themselves at home and now need to pay for the help of a professional – but are most of these concerns that people come to you with, easily treatable at home? I’ve noticed that people are starting to become a lot more aware of the importance and value of skin health. It’s common for people to come in and think of having a facial as a luxury item, yet they are meticulous with their hair cut and colour and would never dream of attempting it themselves. It’s the same thing with skin care. At home treatment is vital, but sometimes it’s better to leave it to the professionals. In the end of the day your skin is going to represent you every day for the rest of your life, so you want it to be healthy. I believe it’s a balance between consistent appointments and meticulous at home skin care. What are your top three pieces of advice for someone looking to clear their skin and obtain a healthy glow? 1. Go to sleep! Rest is absolutely vital for skin health. This is the time when your skin cells have a chance to rejuvenate. 3. Use topical products tailored to your skins’ needs. It’s very important to nurture your skin and feed it what it lacks. For example, if you have dry skin you need a hydrating serum. You skin, like your whole body is extremely clever….you just need to listen to it. In your opinion, do you think you need to work with high end products alone to achieve this or you can actually get away with the cheaper, drug store purchases? Do you have any recommendations? Not necessarily, I think you need to be smart about your skincare. There are some products that are worth every penny and others that could easily be replaced with a natural, cost effective alternative. As we get older investing in a really good quality eye cream or night cream is vital. Your skin cell renewal process slows down as does your collagen production. A product such as The Dr Spiller Night cream has active ingredients that helps to speed up that process. It’s these active agents that most drug store/ natural products don’t possess. I do love to put natural ingredients on my face, as the skin absorbs so much. I love to make my own lip scrub. I simply take some paw paw cream and combine it with a teaspoon of raw sugar. I gently rub that over my lips and rinse off. That’s a cheap alternative to the high-end products on the market and yields the exact same result. The tip is to remember that cheap, supermarket products can often replace quality ingredients with mass produced toxins. So, if you are looking for skin care on a budget seek natural, organic products and be willing to get crafty in the kitchen. As a general rule of thumb, it’s a given that wearing make-up can and will clog your pores – so for models, when wearing it daily is their job, what advice can you recommend specifically so as to prevent any breakouts? Double cleanse! I’m a big fan of mineral makeup such as the Jane Iredale range, however, I know on set it’s often about what product the makeup artist prefers. If they are going to put lots of foundations and concealers on your face then my first suggestion is to make sure the brushes are clean. Bacteria build up is the number one cause of breakouts. Once the photoshoot is over I would recommend removing your make up immediately. Remember, on set there are a lot of bright lights that heat your skin and cause the product to really absorb in. You want to cleanse and cleanse again to make sure you remove all of it. You will also be stripping off a lot of your skins natural oils so make sure to replace it with a moisturiser. And if one does have a breakout – what do you recommend to get rid of them? Is there any industry quick fix-it that we don’t know about? Light Therapy. We often have models come in to see us before photoshoots. If they do have breakouts and we cannot do extractions then 20 minutes of Healite or Omnilux is the perfect way to calm the skin down. Now moving onto actual procedures; both invasive and non-invasive. It’s really only become a bit less taboo in the last couple of years and although they have always been available, why do you think there’s been this huge surge in interest? We have social media to thank for this. The concept of a ‘natural beauty’ has had to be redefined. 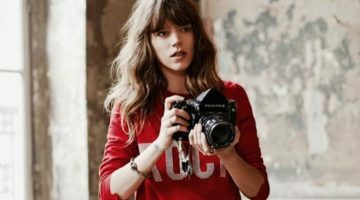 Sure, there are a lot of famous models that are just genetically blessed, but you only need to look at The Hadid’s or Jenner sisters to know that even top models are having cosmetic work done to enhance their features. I also think there have been so many amazing advantages in technology that has resulted in some revolutionary machines. Laser Genesis for instance does wonders to remove acne scarring, tighten pores and evens skin tone. We all know the worlds’ top models and industry personal all indulge (sorry everyone, but no one’s skin looks like that just with the help of a few products…) what procedures are the most common? I’m seeing a lot of people coming in requesting Dermapen treatments. 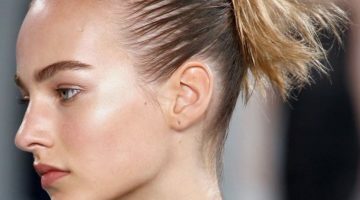 It’s so popular because it targets a very common concern with models (particularly ones that shoot beauty), open pores. Tiny needles are injected into open pores causing a micro injury. The “injury” makes the cells react and initiate the healing process, encouraging collagen production. Dermapen is also great for aerating bacteria, so if a model presents congestion due to makeup or tired skin from travelling ect. this is the treatment to try. Just remember if you have a photoshoot or event, plan ahead. This treatment requires about 3 days of downtime but I would be overly cautious and give your skin a week. Are there any procedures you like to work with specifically? Of course, each procedure is different and aimed at producing various results, but what do you prefer overall? Definitely Dermapen is my go to at the moment. I have tried Dermapen, but a new treatment I tried two weeks ago was the Herbal C Peel. This is our most intense peel that we offer and requires a strict 5 day downtime. It’s all natural but extremely potent. You skin cells rejuvenate on a 28-day cycle. This peel speeds this process up to 5 days. On day three you literally peel like a snake. While I can’t say I enjoyed the process (I personally suffered some swelling) my skin at the end looked so damn good. And lastly, you’ve been working for a number of years at various clinics, what can you tell us about Face Plus Medi Spa? We’ve seen a lot of models and influencers recommend the spa through social media, but we’d love to learn from a therapist’s perspective as to why they love it so much and why we should go? The main reason I love Face Plus is because I genuinely believe in the spa menu. Every item yields results. The menu is so diverse that is will also cater to every skin concern from young, acne prone skin to mature skin that has a loss of elasticity. We have a medical focus while maintaining the spa like relaxation vibe. Everything we offer from inner beauty, topical products to our services are based on years of extensive and consistent research.